Oh dear. One's heart would have to be composed of pure granite not to be a bit moved by the plight of that unfortunate cohort known as The Kildare 11. For months they were cloistered in a windowless room, taking evidence from an endless procession of bankers, politicians, economists and pointy-heads (but precious few penitents) all offering opinions on who and what was responsible for the unmerciful meltdown of our banking system. While rival TDs were busy about their various constituencies preparing for the election, the six sitting deputies (excluding Joe Higgins who isn't running again) were sequestered away, doing their bit for political posterity. But it would be worth it in the end. By January, as the final flourish of this 31st Dáil, the Kildare 11 would emerge blinking into the winter sunlight, brandishing a Joycean manuscript, a 'Ulysses'-style sprawling, vivid account of our downfall, for all to admire. And then disaster struck. They wanted 'Ulysses' but much to the committee's shock and chagrin, they got 'Finnegans Wake' instead - a 750-page mammoth which appears to contain sections of impenetrable prose. Cue an outbreak of angst. What is it about this Government and any class of inquiry? Last week, skin and hair flew around the corridors of Leinster House following the judicial bombshell that the commission of investigation into IBRC "was unable to proceed". And now this week it's the turn of the Kildare 11 to provide a bit of chaos. Two of the committee - Fine Gael's Eoghan Murphy and Senator Susan O'Keeffe - were hastily tasked with joining something called by the sinister name of a "finalisation team" to figure out if a last-gasp silk purse could be fashioned from the big pig's ear. A crunch meeting was organised for 4pm and en route to the pow-wow, Pearse poured out his woes. "We put a lot of time into this committee. We've given up other areas of work in terms of our political focus...This is a rescue operation," he confessed. At least while they're trying to figure out how to salvage something from the paper wreckage, the committee is staying united. "I don't blame anybody at this point in time," insisted the Sinn Féin deputy. By 6pm, the beleaguered Kildare 11 had agreed on "a revised draft framework" - basically a shorter report - in order to meet the looming deadline. "That had better be jargon-speak for 'cleaning up an omnishambles'," said one nervous Government TD. And more than one Government TD is feeling a bit jumpy. It was a bit of a Black Tuesday for the Coalition (and not in a happy, online shopping sort of way). Leo Varadkar got another hospital pass with the INMO voting to strike. And the Taoiseach duly got it in the neck over the latest health farrago from the Opposition during Leaders' Questions. "It's not a challenge, it's a crisis," charged Micheál Martin. Enda launched a feisty counter-attack. "You fled out of the Department of Health as fast as your two legs could carry you," he taunted Micheál. And then the news broke that one of Fine Gael's three Cavan-Monaghan TDs, Sean Conlan, had resigned from the party. Perhaps every Black Tuesday has a silver lining, so to speak. 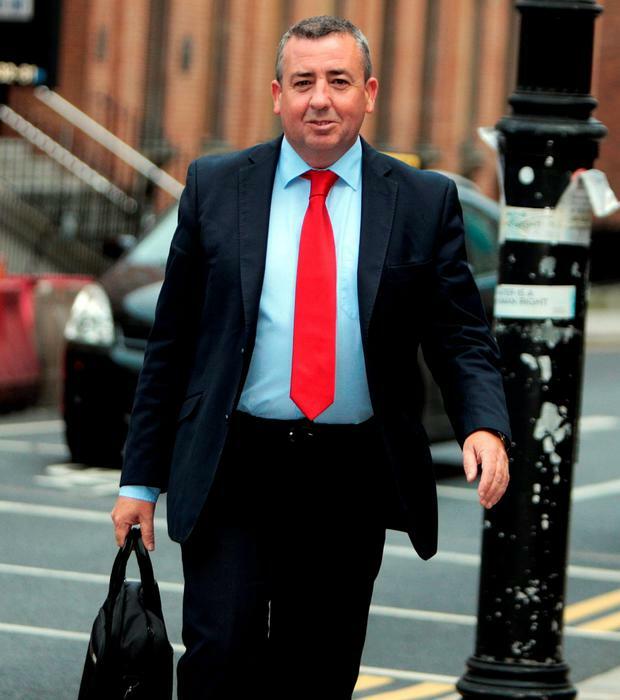 By evening's end, banking inquiry chairman, Labour's Ciaran Lynch, was doing the Stations of the Cross on the 'Six-One News'. "There have been challenges all along the way," he admitted. It's not a crisis, it's a challenge. As Jimmy Joyce would put it.